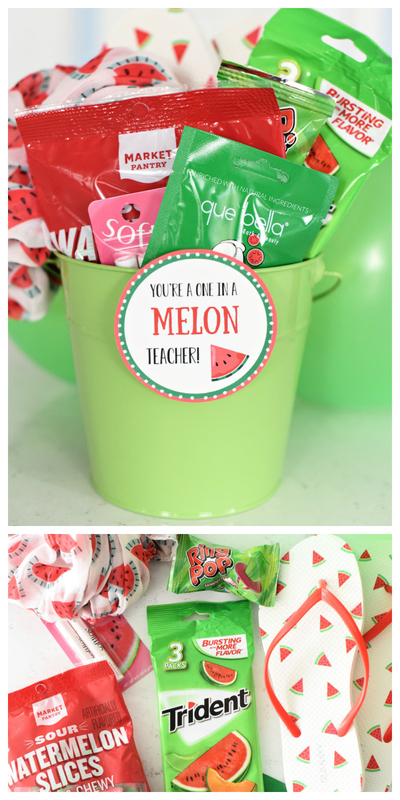 A Peek at the Fun: If you’re on the hunt for creative (and easy) teacher gifts, this “One in a Melon” idea is not only darling and fun to put together, it’s something the teacher will love! 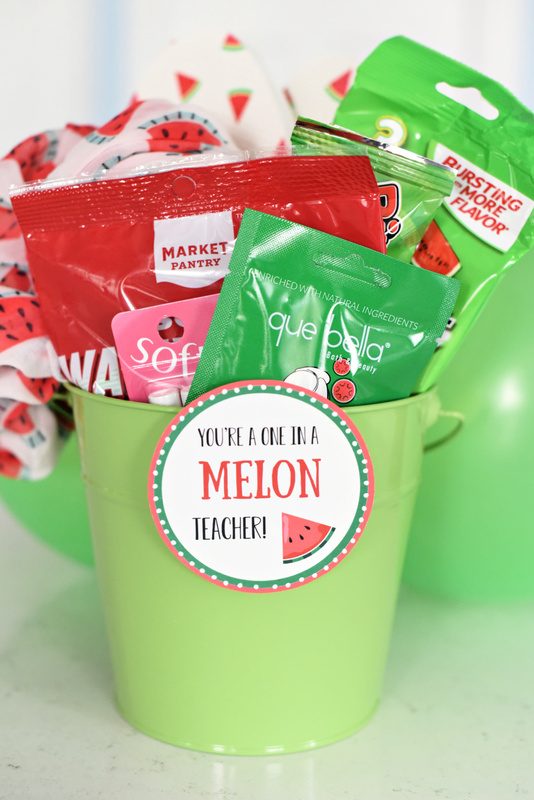 Fill a basket with cute melon themed items, print the cute tag and you’ve got a wonderful teacher gift idea! 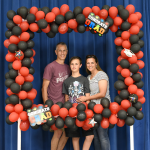 We honestly have a one in a million teacher for our fifth-grade boys this year who goes above and beyond in every way. She shows up to basketball games and soccer games to cheer them on (and not even just one a season, but several). She had the whole class put on the play of Hamilton and even had our little “tough” boys singing and dancing of their own free will. 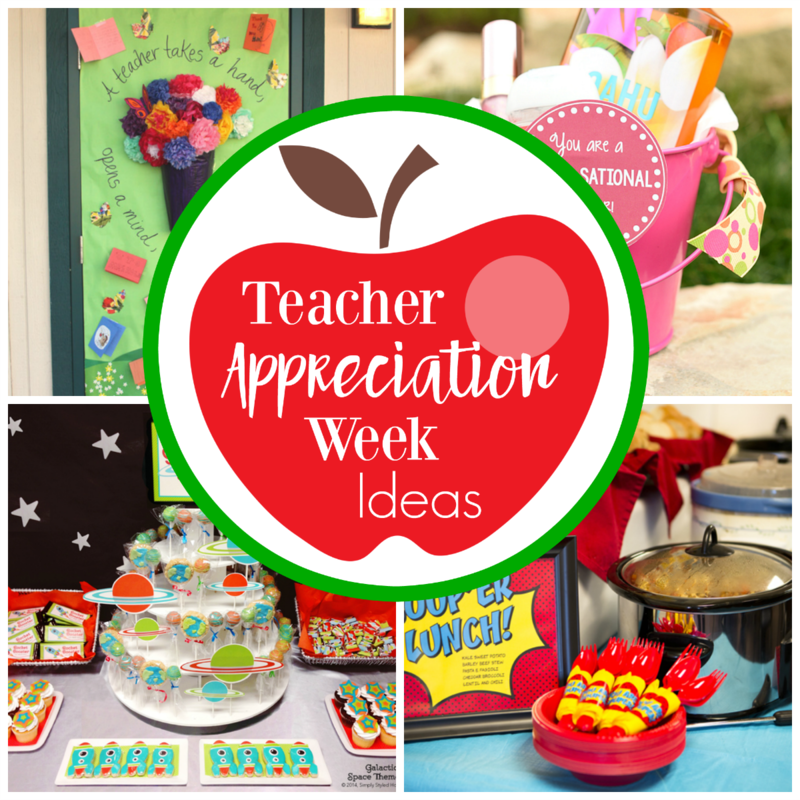 We love her and the time and effort she puts into our kiddos and we know that this year when we thank her, we want her to really know just how much we appreciate her. 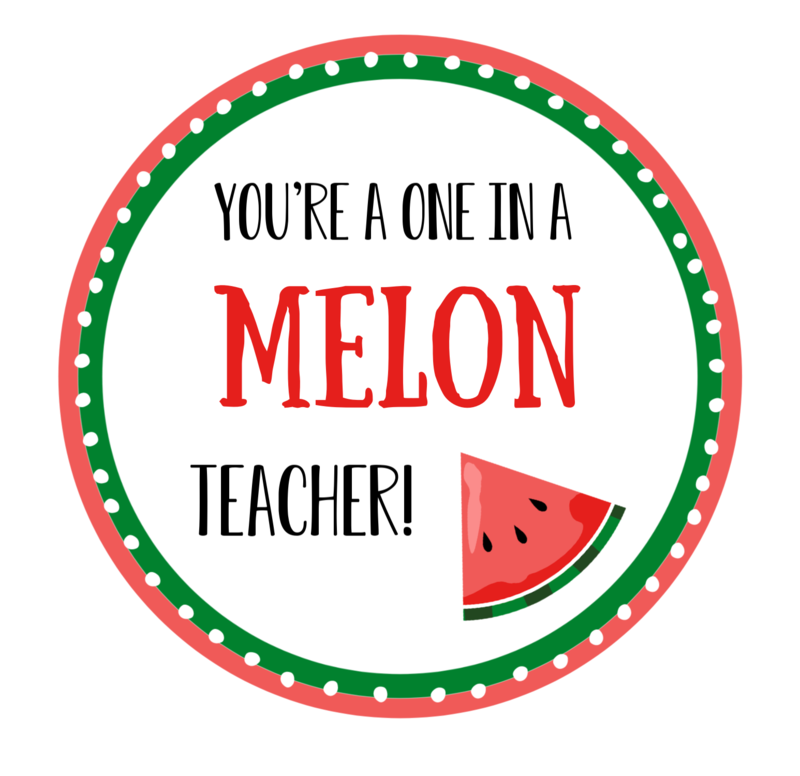 This cute “One in a Melon” gift says what we really feel. She’s amazing and we want her to know. 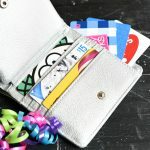 If you’re looking for creative teacher gifts, this one is super fun and probably not something she’s seen before! 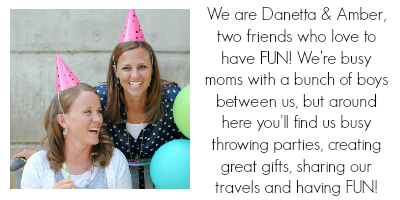 Plus, we had a blast putting it together! It was surprisingly easy and fun to shop for melon themed items! 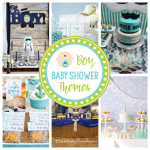 We didn’t realize there would be so many cute options! 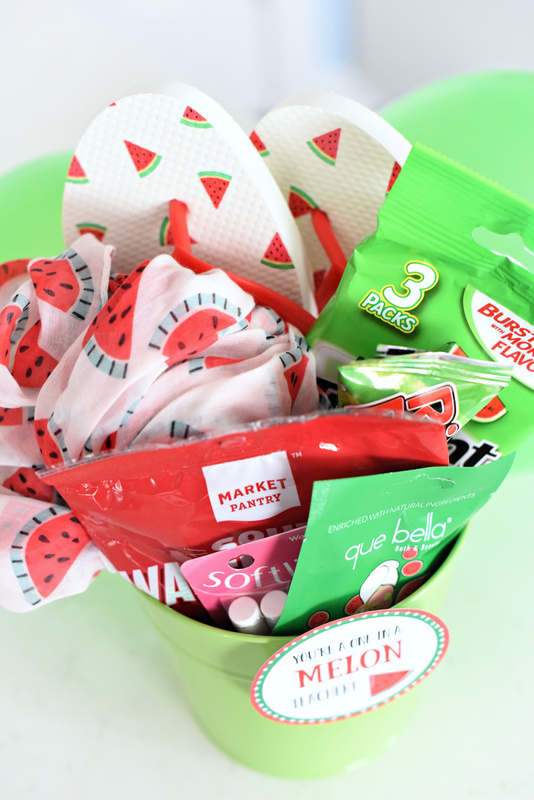 We’d add a fun gift card to this gift basket to make it extra special. Maybe to a place with “melon” flavored drinks or something fun like that? Or just a gift card to her favorite place. We love spoiling our teachers!! If you want to make this gift, here are a few details. This is easy to put together and you can make it as big or as small as you’d like. Just have fun with it! And here is the gift tag for you to use. We’ve got a PDF with a bunch on it that you can print or you can save it to your computer and open it and then print. 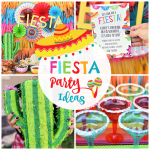 So easy to put together and so cute! 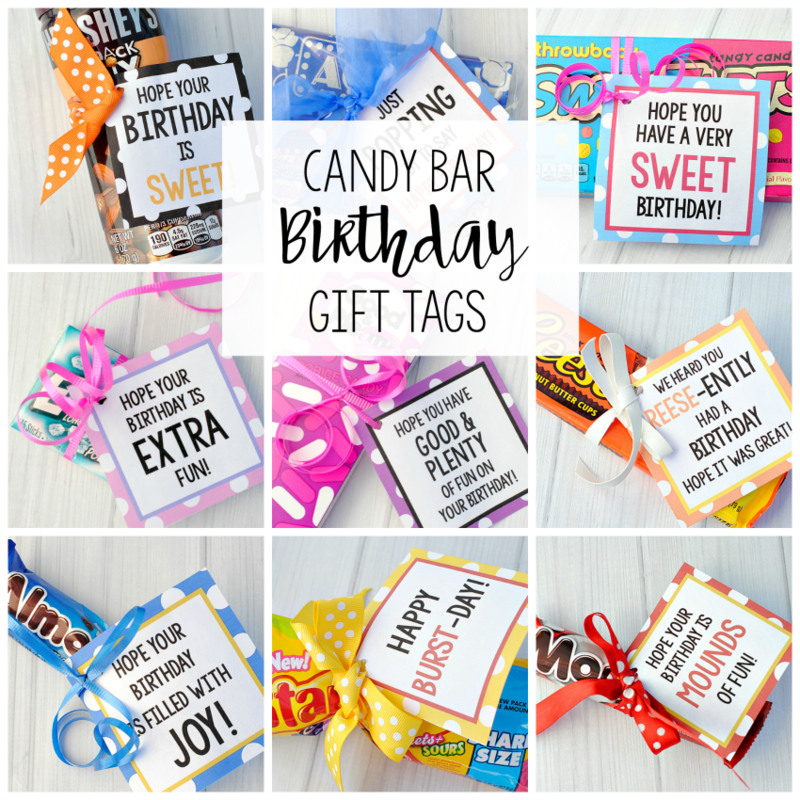 Have FUN giving creative teacher gifts!